Right hand side is Fatts. Fatts has cute feet, eventually Fatts will become a butterfly like the one in the upper left picture ( Fatts mom). He/she hatched in my mandarin orange tree about a month ago. 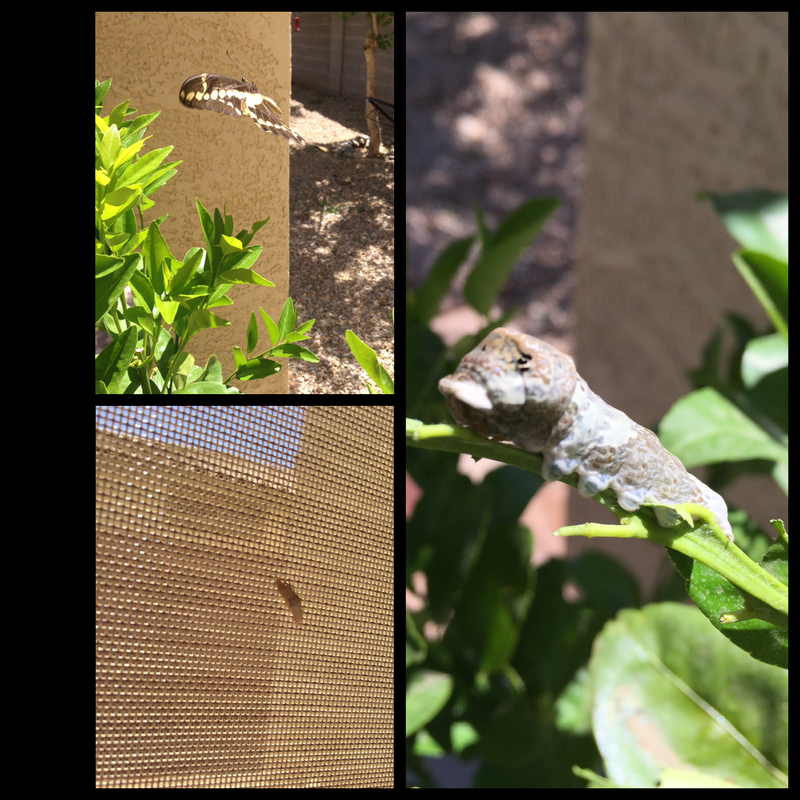 The lower left picture is of a chrysalis. Can’t wait to see what emerges.